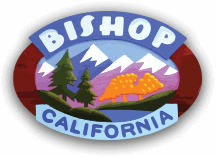 Discover the back roads, secret scenic locations and roads less traveled of the Eastern Sierra by following one of many motor touring routes around the Bishop area. All the routes can be found in the award winning publication Backroad Tours in the Eastern Sierra and Death Valley. You can pick up a copy of the publication at the Bishop Area Chamber of Commerce and Visitors Bureau. For information on Buttermilk Road, Silver Canyon and Papoose Flat, read this blog post. Click here for a blog post that also has information and a video about Chidago Canyon, a really fun dirt road!